After an 11 year of a stint at middleweight, a former UFC and Strikeforce champion Luke Rockhold is finally making his debut at light heavyweight against Jan Blachowicz on July 6 at UFC 239. Rockhold was teasing a move to 205-pound for a few years due to grueling weight cut at middleweight. The 34-year-old Californian feels he has made the right decision by moving at one division higher than his old one and hoping to advance in the UFC rankings that’d allow him to collide against Jon Jones. Luke said if he earned the opportunity, he’d be the first man to dethrone Jones. “I’m happy about not cutting weight. I’m happy about eating. I’m happy about how it feels. I’ve never felt like this before, and it feels good,” Rockhold said. Rockhold suffered many injuries that limited him to fight only once a year in the past three years. During that period he suffered a knockout loss against Michael Bisping and Yoel Romero. Luke said most of his injuries occurred during the training camp when he was trying to cut down weight at middleweight. Now former champion said a workout regime at light heavyweight would make justice to his body and he expects to be little healthier in this division. “Obviously the extra muscle, it kinda keeps everything intact,” he said. “And a lot of those injuries happen at the end of training camp, when I’m depleting myself and getting down to weight and your body fat gets low. Your body becomes brittle. So I’m far less injury prone [at 205 pounds] and I’m looking forward to getting f*cking swinging, swinging with weight and some muscle. “I don’t believe there’s a man in the world who can compete with me on the ground,” Rockhold said. “I don’t believe Jon is that polished on the feet. I think he adjusts, I think he’s tactical. I think I have the skills to beat him there, I have the skills to beat him on the ground, and I think the wrestling is pretty much nullified, I don’t really think it plays much of a factor. 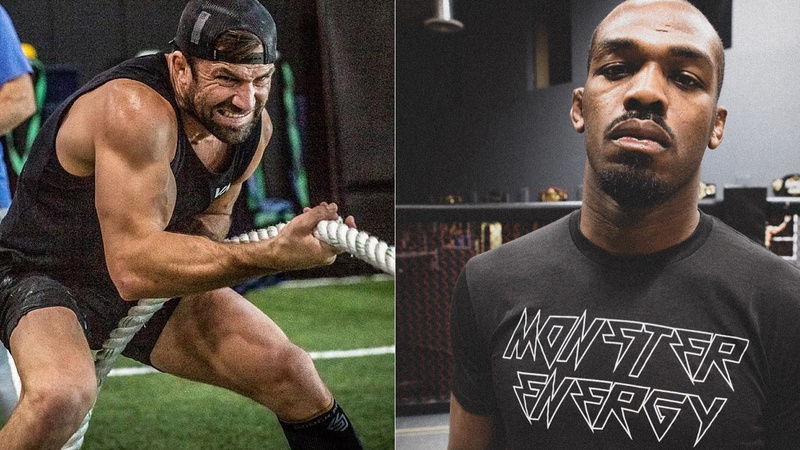 Do you think Rockhold is biting off more than he can chew?